Located in north Queensland about 15 minutes east of Bundaberg, the Mon Repos Turtle Centre & Conservation Park is one of the Queensland Government’s most prestigious animal encounter and protection projects. Home to the most significant loggerhead turtle nesting population in the South Pacific, Mon Repos offers unique turtle encounters, school excursions and more for those interested in learning more about this prized animal population. 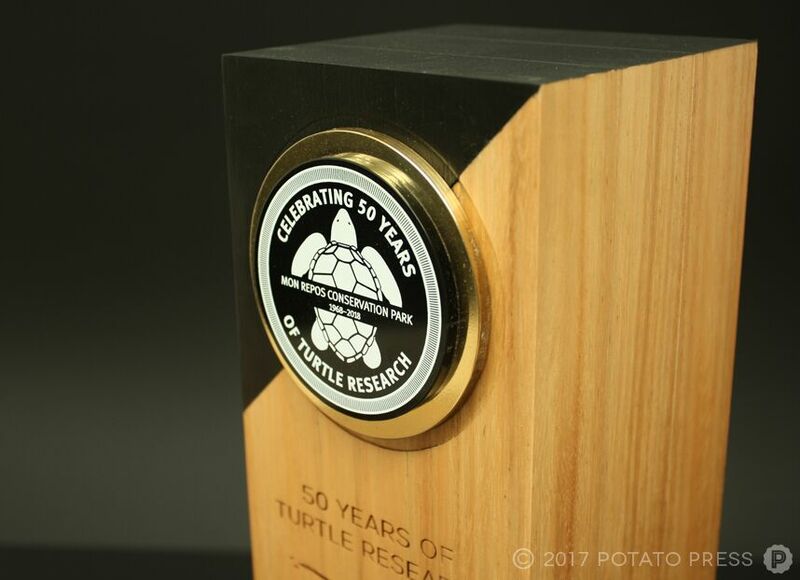 In honour of one man’s hard work and dedication to turtle conservation, we were tasked with creating a custom award for Dr. Col Limpus for his invaluable 50 years of turtle research, spanning from 1968 to 2018. 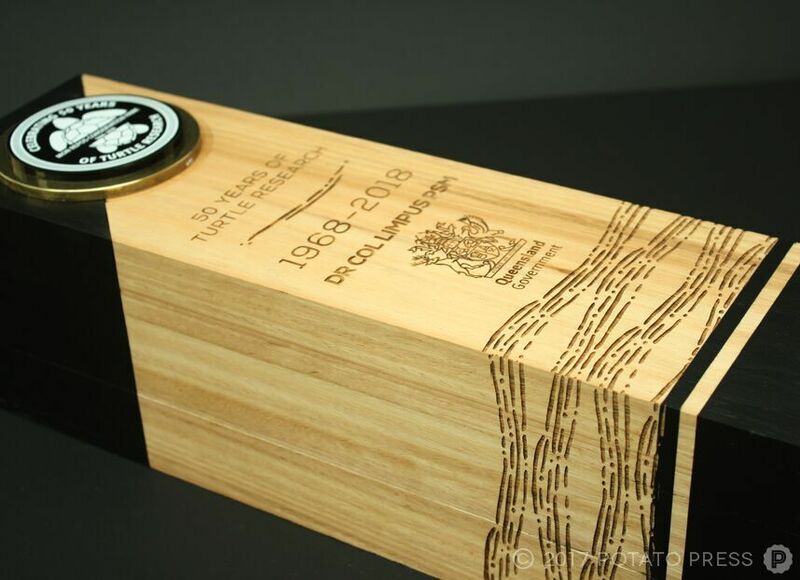 Wanting to create a modern yet memorable award, we chose solid blackbutt timber with custom brass cut elements and UV print acrylics, adding laser etched artwork and custom paint accents to the rectangular-shaped design of the award. 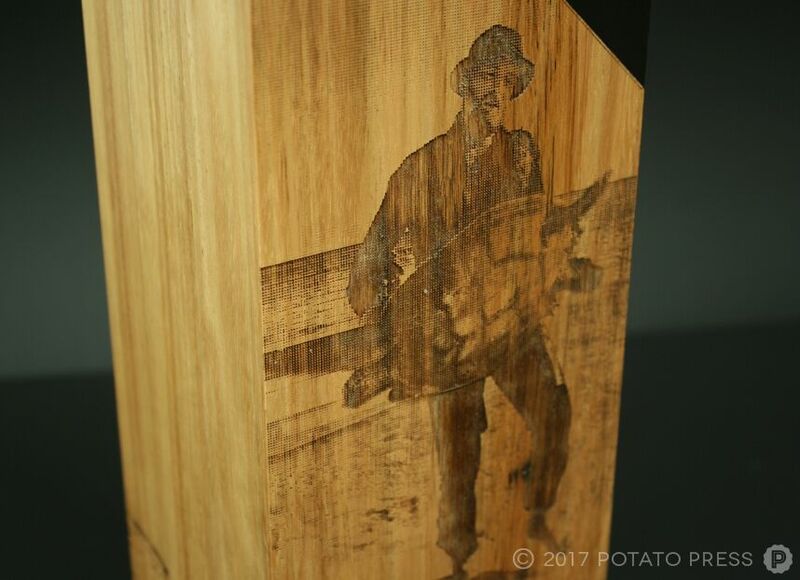 With the turtle logo and Dr. Col’s name prominently displayed, we added a unique portrait etching of Limpus with a turtle for added sentimentality. We hope Dr. Col loved this award as much as we do, and congratulations to the Queensland Government for their hard work in preserving Australia’s natural beauty and turtle populations. 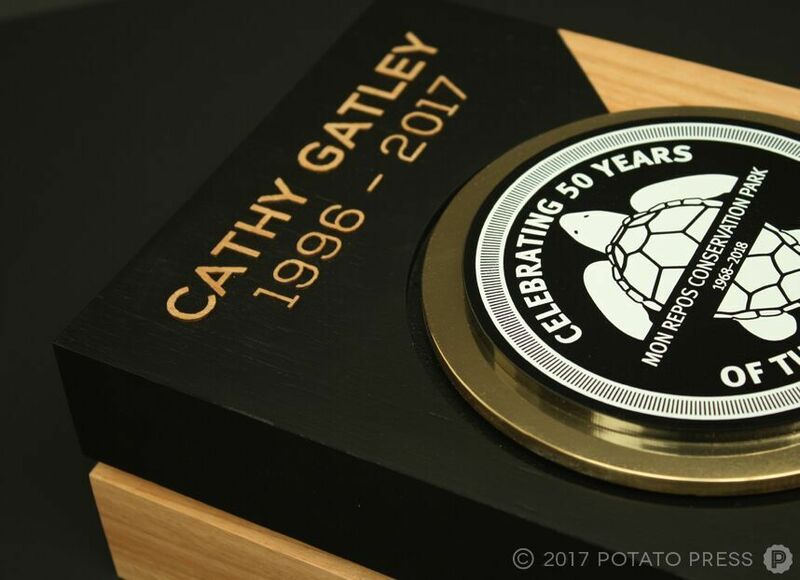 For your next custom award need, please contact our team of Potato Press designers for further information.